A lot has been happening with Toronto’s restaurant industry these days, from the multiple fires along the Bloordale neighbourhood, to the complaints of Sweet Jesus’ advertising, and of course, to the ongoing protest war at Antler. Even with all this going on, it’s not the first time that Toronto’s food industry has generated some significant buzz. With a large, multicultural palate and a creative, independent streak, it’s no question that the city’s food scene has had its ups and downs, as well as its share of controversies. 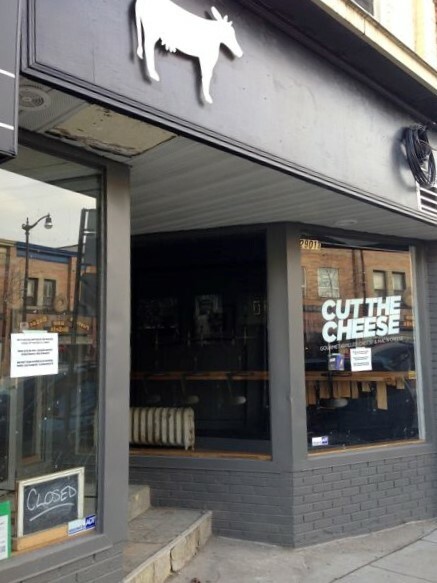 Here are five great restaurants in Toronto that have the most scandalous names! Pho King Fabulous! – 2411 Yonge St. Consisting of thin rice noodles, often served with meat and herbs in a hearty broth, Pho is a staple in Vietnamese cuisine and can be eaten as either breakfast, lunch or dinner. What many people don’t realize is that the word pho is actually pronounced /ˈfoʊ/ or “fuh”. This should shed a whole new perspective on the name “Pho King Fabulous!” Still, the restaurant delivers on the fabulousness with a wide-ranging menu filled with authentic Vietnamese dishes such as cơm – rice dishes served with meat, traditional spring rolls and, of course, steaming bowls of mouth-watering pho. 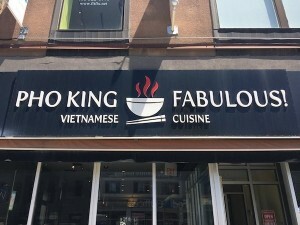 Pho King Fabulous is a favourite destination among those who work and live in the mid-town Yonge-Eglinton area, as most people are charmed by its quiet and cozy atmosphere as well as its large selection of tasty dessert teas. Fabulous for sure! Once you take your mind out of the gutter, you’ll soon discover that the Double D in the name refers to “Deep Dish”, as in the world-famous Chicago-style deep dish pizza. Unlike the Neapolitan style pizzas that use flat bread, deep dish pizzas are baked using a thicker bread that’s layered with tomato sauce, cheese, meat and hot melted butter, giving the pizza its iconic, pie-like appearance. 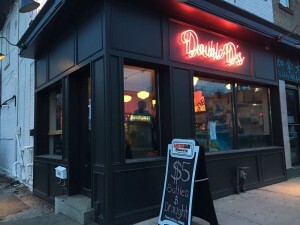 Size matters at Double-D’s and all pizzas are served in small, medium, large and personal sizes, the latter of which consists of a single, hefty slice available to dine-in customers only. On average, pizzas take about 40 minutes to cook, but trust us when we say, it’s well worth the wait! Bang Bang Ice Cream and Bakery – 93A Ossington Ave.
There’s something tantalizing in the name of this ice cream and bakery fusion, and once you try their goods, you’ll probably understand why that’s the case. The Bang Bang Ice Cream and Bakery on Ossington has always commanded long line-ups in front of its doors with its wide selection of baked goods and unique ice cream blends. 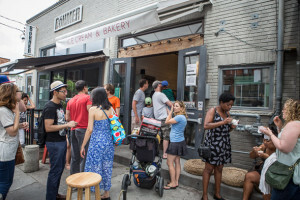 The store regularly sells home-made cookies that are packed with chocolate, peanut butter or oatmeal, as well as hot cinnamon rolls. As for ice cream, creative flavours such as Burnt Toffee, London Fog and Fresh Mint are almost always served. For the best experience, be sure to try the store’s signature ice cream sandwiches, which offer you the best of both worlds – silky, delicious ice cream wedged between two large cookies with a satisfying, sweet crunch. These sandwiches will definitely put those you find in the supermarkets to shame! 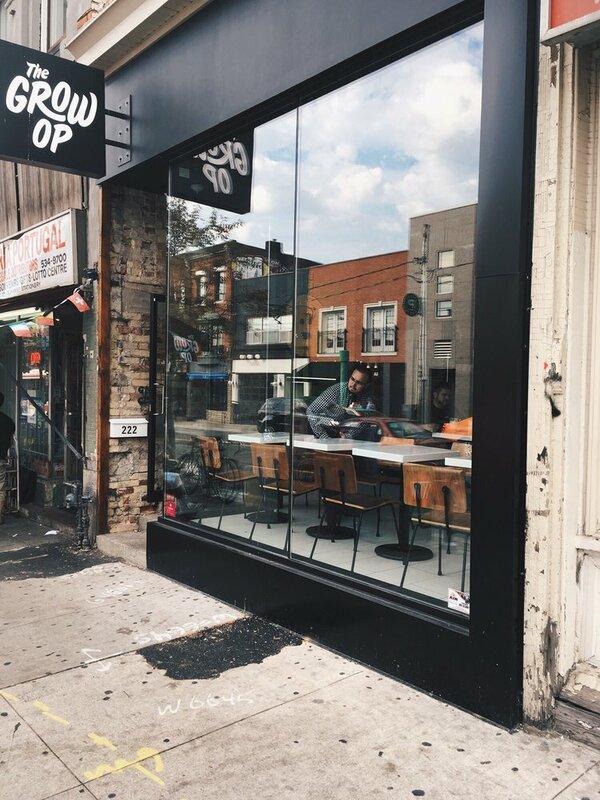 The Grow Op Juice Bar and Eatery – 222 Ossington Ave. 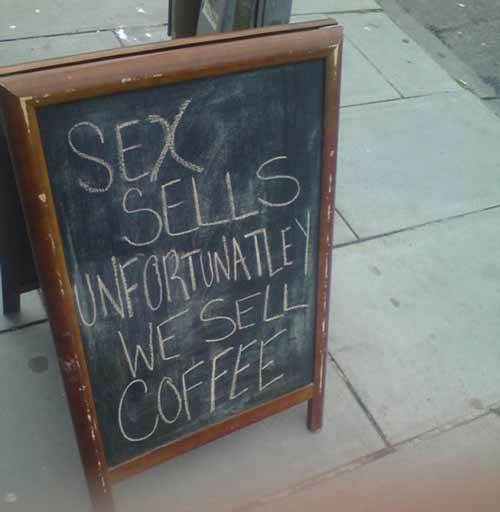 While the name is highly suggestive, there are no “special herbs” or their derivative brownies served here. Instead, the Grow Op Juice Bar and Eatery focuses on clean, healthy eating with their sandwiches, salads, smoothies and their signature cold-pressed juices. In fact, almost everything on the Grow Op’s menu is made from fruits and vegetables, with items such as zucchini noodle salad, vegetarian reubens and acai bowls. Perhaps the one thing that makes the Grow Op stand out is its liberal use of hemp milk and powder, which is added either as a base or protein supplement in many of their smoothies. While it probably won’t give it that extra “kick” like in other familiar hemp-based food products, it’ll still serve as a tasty, organic source of protein! The name doesn’t sound at all appetizing, but you’ll probably change your mind once you see what’s on the menu. This restaurant at the Junction specializes in virtually every comfort food that has cheese in it, with grilled cheese sandwiches, mac ‘n’ cheese and cheese fries just to name a few. Cut the Cheese adds its own gourmet spin to these otherwise ordinary dishes, such as adding juicy Portobello and King Oyster mushrooms to their “Shroomin’” mac ‘n’ cheese, as well as poached pear and arugula to their “Pearisian” grilled cheese sandwich. Whether you like the name or not, comfort food can’t taste any better (or be any classier) than this!